As Friday circles back around bringing a flood of new music, we’re here to highlight just a few of The Orchard’s many exceptional distributed releases to top your list. We have a few treats for you this week including a couple hard-hitting alt-rock teams along with a special new hip-hop project, all Out Today. We’ve been looking forward to this album all summer — From Dangerbird Records and grunge-pop trio Slothrust, comes The Pact. Slothrust (pronounced: Sloth-rust) may only be three people but their sound is jam-packed with snarling guitars, impactful drums and gritty choruses to appeal to the edge-y fans of nostalgic 90’s rock. With comparisons and inspiration drawn from the likes of Nirvana, Pixies, Fiona Apple and PJ Harvey, this recent release is produced by Billy Bush. Slothrust’s fourth LP is youthfully dark, as frontwoman Leah Wellbaum tells Billboard, “Childhood really appeals to me, the way one’s inner child can look at the world with curiosity, as opposed to the hardness of adults.” This theme is evident in their promotional efforts as well, like their custom retro computer game akin to Oregon Trail. Take a listen to The Pact now and kick back this weekend to the sound of Slothrust. With contagious beats and show-stopping lyrics from recent tracks like “Wake Up On You” and “Floetry,” Ro Ransom always leaves you craving more and thankfully Same Plate Entertainment is on the scene to feed your appetite. His new EP Possessed is out now and packed with artistry that will instill a mental double take. The mystery boy is full of quips and just the right bounce to compliment. With an off-beat aesthetic, Ro is far from forgettable but it’s clear his lack of convention make him all the more endearing. Take a listen to Ro’s new EP Possessed and get a quick glimpse into the complexity of Ro in the video below. Scotland-based rock group Fatherson is back with their third full-length Sum Of All Your Parts. Classmates turned bandmates, The Easy Life Records group graduated from their small town to play alongside acts like Idlewild, We Were Promised Jetpacks, Enter Shikari and more. Fatherson convey honest vulnerability balanced with raw musicality in both their music and performance. Clash states, “The band’s songwriting is rooted in their own lives, drawing on a deep well of emotion, exploring areas other groups might not reach.” With tracks ranging from soft to aggressive, there is truly something for everyone symbolized in the title Sum Of All Your Parts. 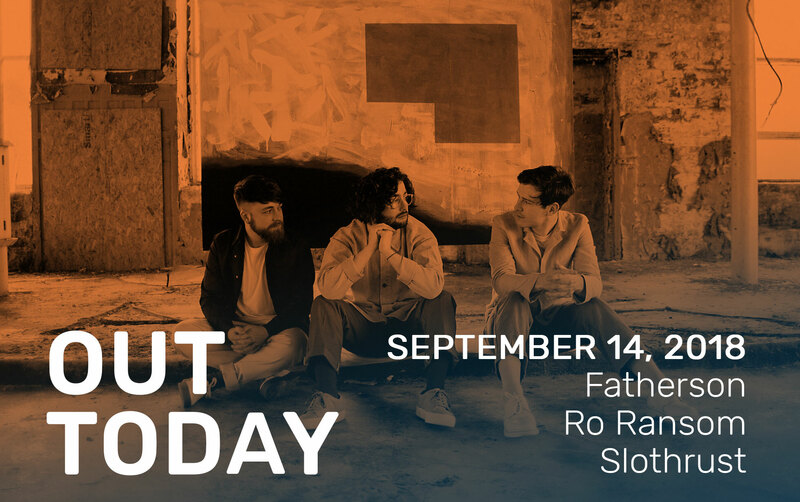 Check out Fatherson’s louder side below and enjoy the full range here. That’s all for this week! Make sure to follow us on socials for more mention of incredible new indie releases flowing to your favorite stores each week.